This is a quote I use with my family. 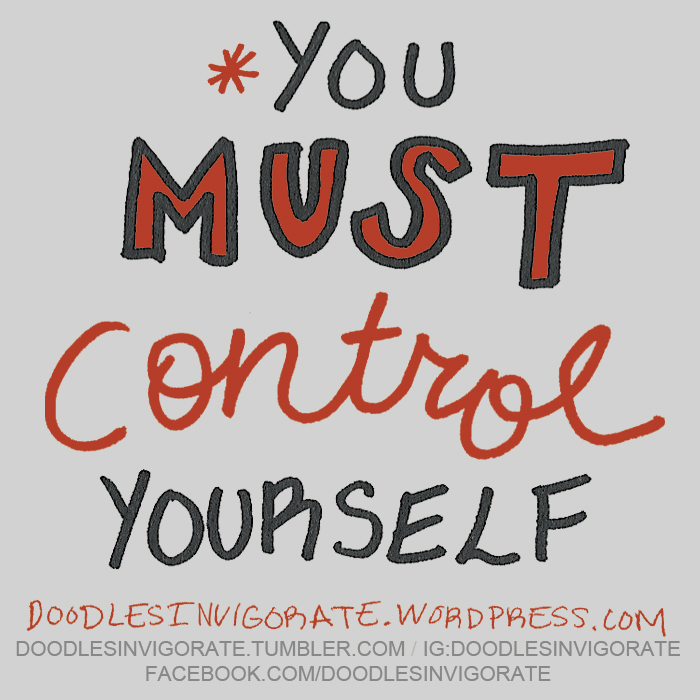 During a rough time, when I had no patience to deal with their unruly behavior, I came up with this saying: control, you must control yourself! Instead of yelling and spanking I remind them to calm down and control them self then send them to their room to cool off or think about their actions. I asked them to remind me to control myself when I get too angry. Whenever I’m too hot to deal with them I chill out in my room till I have the patience to deal with the situation. Of course every disagreement doesn’t pan out like this but we try. Since then we’ve had less melt downs. I love this quote because it can be applied to everything. It’s great to help with addictions. CONTROL!